Aermacchi already had a strong and successful race history using its distinctive four-stroke single cylinder engine. 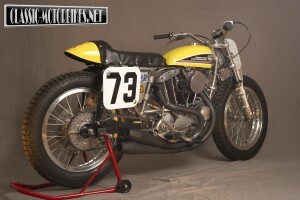 The arrival of the 70s saw the death knell for small capacity four strokes and the company, now owned by the US giant Harley Davidson, used two 125cc motocross engines, joined via common casing, to create an effective aircooled 250cc twin. 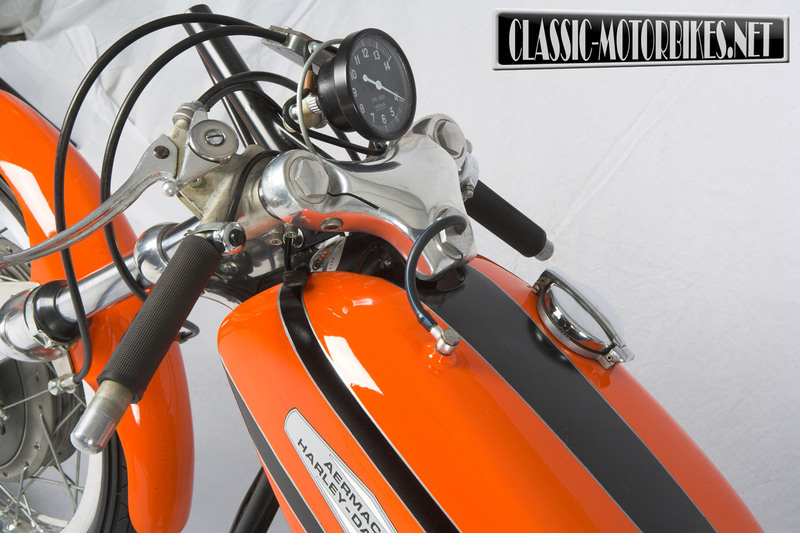 The idea, penned by Aermacchi chief designer William Soncini, was to create a simple, yet competitive, lightweight engine that was easy to maintain and repair. In effect, the engines internals used many components, pistons, bearings etc, from Yamaha’s TD series of race machinery, saving much cost in development and manufacturing. The end result was a light, fast and capable race bike that owed more to off road design than the current thinking for road racing, the engine and gearbox weighing far less than the over the counter, roadster based TZ Yamaha, while taking up a lot less space in the chassis too. For 1971 this new design saw some action but its true potential came the following season when Renzo Pasolini, with a long history of Aermacchi success throughout the 60s, scored three GP wins and also won the prestigious Italian championship. 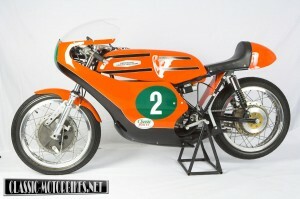 By the end of 72 Pasolini finished 2nd in the 250-world championship and 3rd in the 350-title hunt. The RR350 simply being an over bored an stroked version of the 250cc machine, this version again used many Yamaha components like con rods and pistons, while an even larger version was stretched out to 385cc enabling it to take part in 500cc races, but this was one mod too far and proved to be unreliable. The 250 proved to be the real star of the show however and became a real thorn in the side for the Japanese teams of the era. The following year Pasolini was killed while taking part in the Italian GP, this made way for fellow Italian Walter Villa to step up as number one rider at Harley Davidson and he dominated 250 GP racing for the next three seasons. Villa also taking the 350cc title in 76 and stayed with HD for the next two seasons finishing 3rd and 16th respectively in the 250 events and a lowly 18th in the 77 350 hunt before switching to privately run Yamahas for both classes. 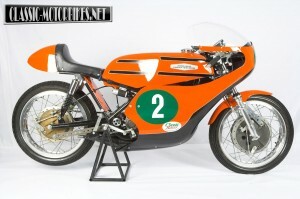 Water-cooling, replacing the large finning, was introduced for the 73-season, allowing the powerful engine to maintain its composure over the long GP distances. Also in the pipeline for Villa was an all-new front disc brake housed within a Campagnola conical hub and looking every bit like a small drum brake, it worked however and when all this new technology was housed a Yamaha like monoshock chassis the results started to become more frequent. 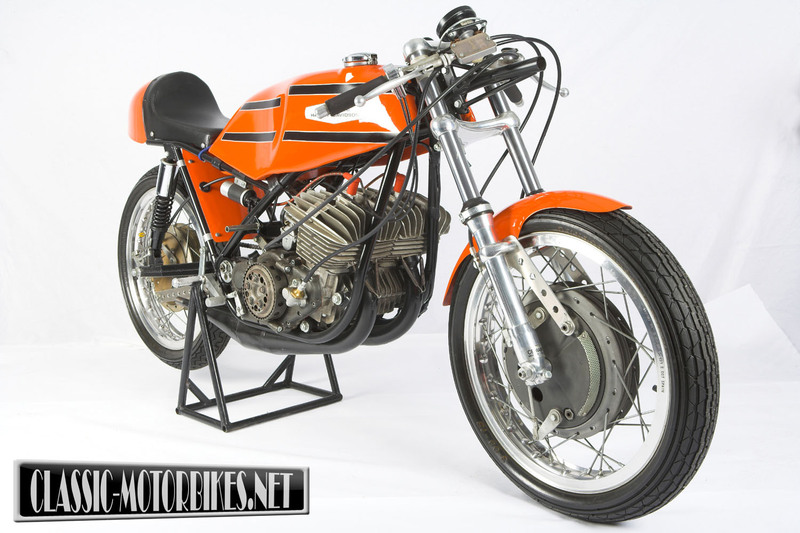 For 1976 the frame returned to relatively old technology and sprouted Marzocchi twin rear shocks when a Bimota chassis was implemented, Villa and his 250cc HD became invincible. By the end of its development the RR250 was producing in excess of 58bhp, more than enough to keep it on a pace with the best factory Yamaha, while the 350 only produced figures in the low 60s when a privateer TZ350 could easily churn out 70bhp plus. 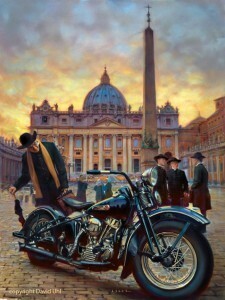 To counter this three cylinder 350 Harley Davidson did see the light of day, using one and a half crank casings with modified 250 barrels and heads, but the funding was cut before it could be fully developed. Dell Orto carburettors replaced the Japanese Mikuni items for the 77 season and an attempt was made to give this technology to the masses in the form of an over the counter racer, few were purchased however as the price was far higher than the Japanese alternative. 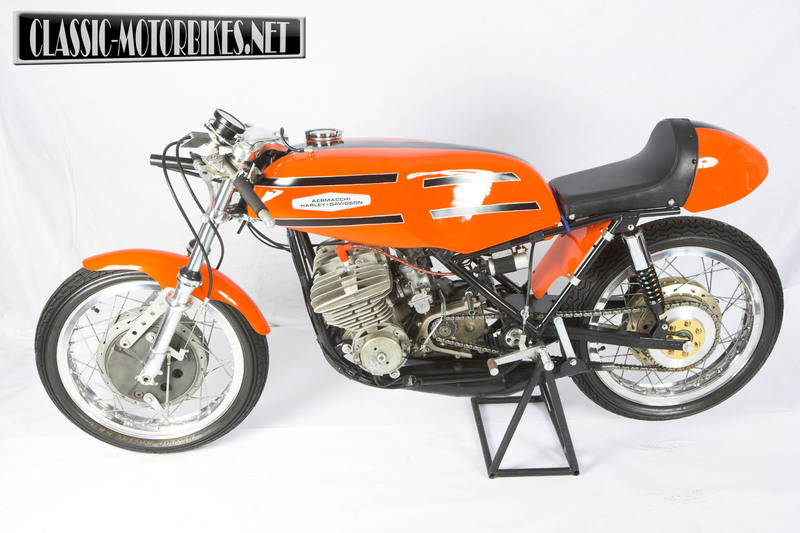 The Aermacchi Harley Davidson partnership eventually grew into the Cagiva brand and enjoyed much notoriety in GP racing for the next decade or so. Hundreds of vintage bikes ride together for nostalgic Banbury Run!